A lot of work and failure comes into play when it comes to developing gluten free and low carb baking recipes. So when I do come up with a success, I like to get a lot of bang for my buck. I try to use it as a base to make different flavors of things. Thus, how my versatile GF Low Carb Muffins Recipe was born. I’ve always liked to get in the kitchen and invent new recipes, even way before I was gluten free and low carb. I remember being about five or six and getting in the kitchen and just mixing different ingredients together. Most of the time it tasted nasty, but I remember a few times it actually tasted good. My mother must have had the patience of a saint. Since then, my family has gotten used to my concoctions – for better or for worse! But my little hobby became useful when I went low carb and gluten free. After I’d had a few months of making healthy desserts under my belt, I decided to get in the kitchen and come up with my own low carb creations. Who knew? Maybe I’d start whipping out tasty creation after creation and publish my own cookbook. Eventually I did get the hang of having the right proportion of ingredients in a recipe and my muffin/cupcakes were born. I’m not bragging, but they’re pretty tasty. I’ve taken them to several potlucks, not told anyone is was GF or low carb, and I haven’t come back home with a single muffin. Since mastering my muffin recipe, it’s given me the confidence that I can still get in the kitchen and whip out some awesome low carb creations. Preheat the oven to 325 F. To a medium sized mixing bowl, add 1 cup almond flour, 1 tbsp coconut flour, 1 tsp baking powder, 1 tsp baking soda, 2 tbsp cocoa, 1/2 cup your preferred natural sweetener, (this is my favorite brand) and a pinch of salt. Line a 6 cup muffin pan with paper liners, or use a silicone muffin pan. I don’t know how I baked before I bought mine. I’ll never go back to paper liners! 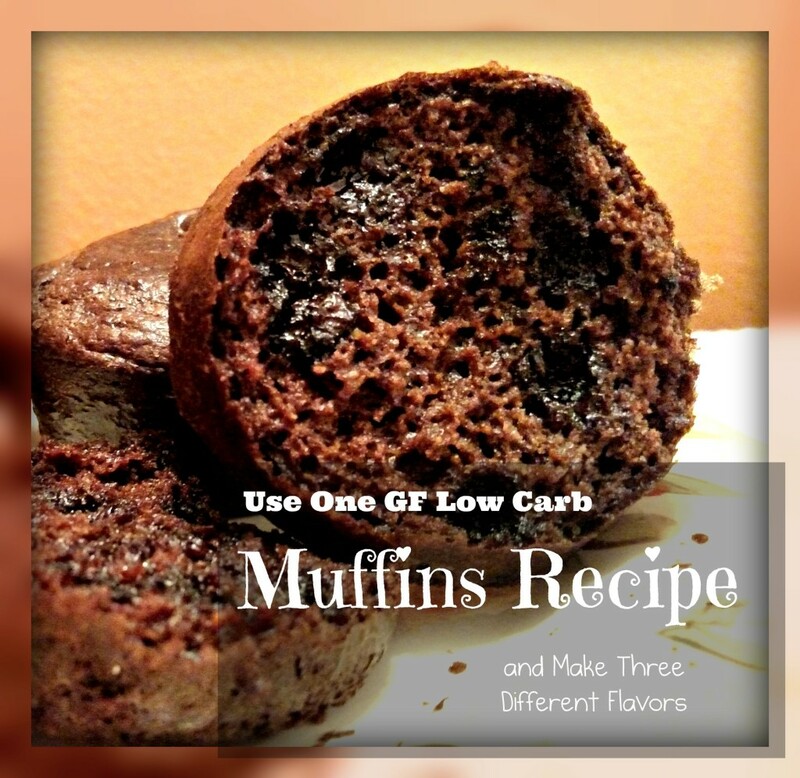 You can use this low carb muffins recipe as a base for a lot of variations. Just use your imagination! *To make vanilla chocolate chip muffins, omit cocoa and use 2 tbsp of coconut flour. Add 1/4 cup sugar free chocolate chips. *For blueberry muffins, omit cocoa, increase coconut flour to 2 tbsp, and add 1/2 cup blueberries. 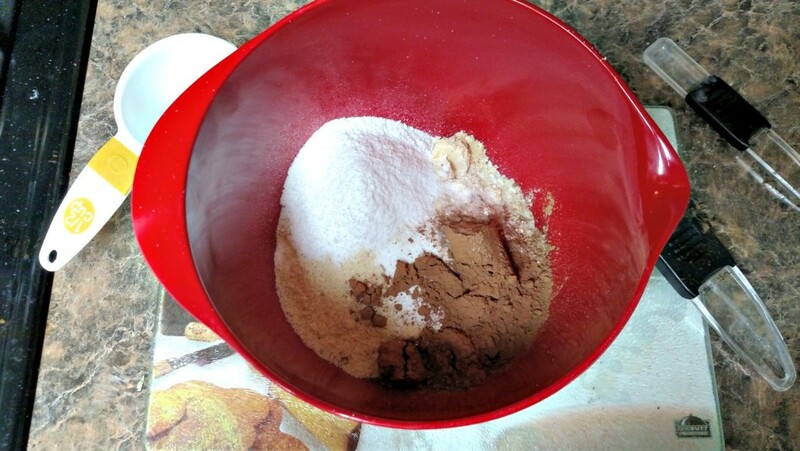 In a medium sized mixing bowl, mix the dry ingredients. Next add the remaining wet ingredients and mix well. Add 1/4 cup sugar free chocolate chips or chunks and/or 1/4 cup chopped nuts. 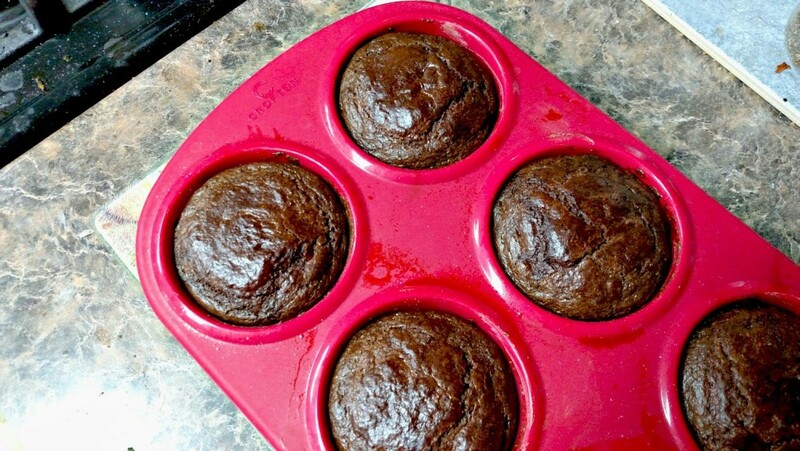 Line a 6 cup muffin pan with paper liners, or use a silicone muffin pan. 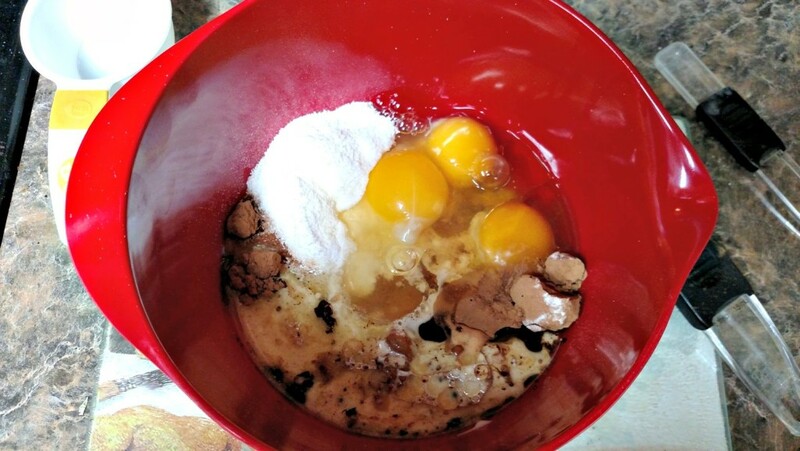 For vanilla chocolate chip muffins, omit cocoa and use 2 tbsp of coconut flour. Add 1/4 cup sugar free chocolate chips. For blueberry muffins, omit cocoa, increase coconut flour to 2 tbsp, and add 1/2 cup blueberries. A few years ago I began a gluten free, low carb way of eating and eliminated sugar completely from my diet. It was hard at first, because I love my sweets and did without them for about two months. My craving for sweets came in ebbs and flows. Then I thought why am I depriving myself? There has to be a way to eat healthy and indulge in an occasional dessert that’s not going to blow my carb count. Just because I’ve changed the way I eat shouldn’t mean I can’t eat sweets, right? 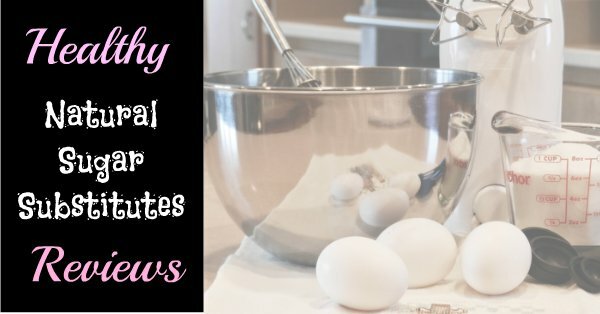 Low carb baking is a whole different animal because the flour and especially the sweeteners completely change the taste and texture of traditional recipes. The sweetener issue was one I really struggled with. There’s plenty of artificial sweeteners on the market, but I didn’t want to turn to chemical sweeteners like Splenda or Equal. I felt I would just be trading one harmful substance for another. In doing research, (I’m a big researcher!) I learned there are a lot of natural alternatives to sugar out there. I found out through trial and error that some sweeteners really taste like sugar, some are okay depending on what you use it in, and others are just plain horrible. Consider this your guide to natural substitutes: baking 101 for low carb cooks. I will give you my honest review of a few of the natural sweeteners I have baked with and had success with, as well as one that is not worth your hard earned money. I had a few requirements in my search for the best tasting sugar substitute I could cook with. When baking for a low carb diet, any sweetener you use has to be low on the glycemic index. In my case, it also has to be safe for diabetics because I have many diabetic friends that I feed on a regular basis. I want them to be able to enjoy my treats without worrying that it might hurt them. As a result, all sweeteners I’ve listed in this post negligibly raises blood sugar levels, and are low carb and gluten free. Another requirement I have is the sugar substitute cannot change the flavor of my goodies. There’s nothing more I hate than a funky aftertaste. My goal when I make desserts is for people to not be able to tell the difference between my dessert and one made with sugar. Steviva closely mimics sugar in my baked goods. Low carb baking requires alternative flours and sweeteners that seriously alter taste and texture. I thought I was just going to have to trade taste for carbs. A lot of natural sweeteners have an off flavor that’s not necessarily bad, but different. Most natural sweeteners don’t work well in baked goods either because they don’t have the molecular properties of sugar. 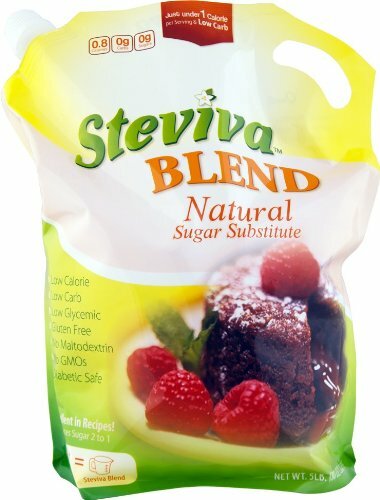 I’m so happy I found Steviva, because it’s the closest thing I’ve found to real sugar when it comes to low carb baking. It sweetens without a funky aftertaste, a must in my book. Steviva is a blend of powdered stevia and erythritol that bakes and, to me, tastes just like sugar. Steviva is more expensive than sugar, but it’s comparable to the price of other natural sweeteners. But I find it’s more economical than the others I’ve tried. For every one cup of sugar required in a recipe, 1/3 cup or less of Steviva can be substituted, so my one-pound bag lasts for a very long time. Stevia is probably the most natural sweetener you can use, aside from honey. But unlike honey, it doesn’t raise blood sugar levels. Stevia is really a South American herb that is 300 times sweeter than sugar. A little dab will do you when it comes to stevia. My father was always a natural living/food fanatic. Looking back, I think I’d consider him a borderline hippie. I remember him first talking about stevia when I was about 12. He thought it was the best thing since sliced bread, and it became the only sweetener in our house for a long time. Even then I loved to bake. But low quality stevia, combined with me not knowing how to use it, resulted in utter nastiness. No matter how little of it I tried to use in my dessert recipes, it resulted in bitter and just plain yucky baked goods. Sometimes it’s all in what you know and how you use it. I wanted to give stevia a second chance, because I know it’s a healthy sweetener that’s diabetic and low carb friendly. I did a little research and learned how to cook with a certain formula of stevia that works best with baking. Stevia glycerite has completely changed the way I bake. It doesn’t get as bitter as quickly as it did when I used to use the stevia powder back in the day. 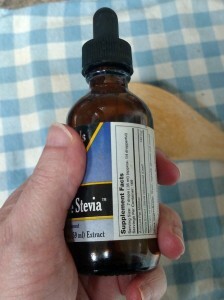 I can use stevia glycerite all alone in my baked goods, or I can use it in conjunction with my other sweeteners. Either way, it tastes great. I like to use stevia with other sweeteners in my recipes, though. 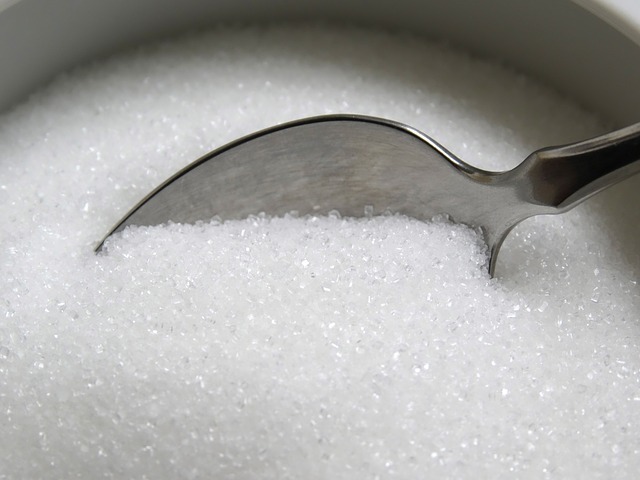 Even the best tasting sugar substitutes can have an off taste if you use too much. Too offset that, I use a minimum amount of granulated sweetener and add a few drops of stevia to sweeten it to my desired taste. Also, be aware than when you use only stevia in your recipe, it’s going to alter the texture of your baked goods because of its chemical properties. If you plan on using it as the only sweetener, you’ll need to use a recipe that’s designed just for stevia. A warning though, even stevia glycerite can become bitter if you add too much to your batter. The key is to remember to add only drops, not teaspoons, and always taste it before you add more. I have mixed feelings about Swerve. Overall, its taste is really close to sugar, but once I use too much I’ve found it has a weird aftertaste that gives me a weird cooling feeling in my mouth that leaves me thirsty. 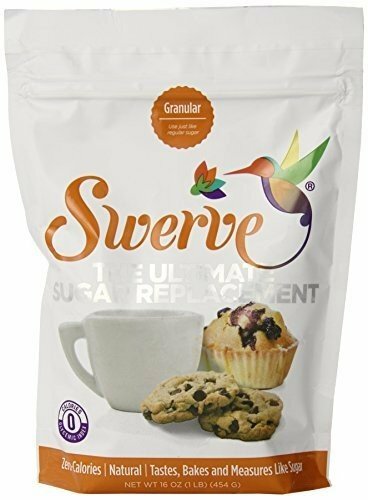 Swerve is available in granulated and confectioner’s form. The granular does a pretty good job sweetening my baked goods and I haven’t noticed any texture problems. The powdered version I just love. I use powdered Swerve like I would powdered sugar. It makes a great frosting that’s indistinguishable from a powdered sugar version. As a result, I can still frost my Christmas cookies and no one’s the wiser. However, a little bit of Swerve can go a long way. When I use too much, it doesn’t taste too sweet, but rather leaves a cooling effect in my mouth and an odd taste, and also makes me very thirsty. I’ve been able to get around this problem by adding a minimal amount of granular Swerve to my batters and then adding a few drops of Stevia. I’ve also had success by using half Swerve and half another natural sweetener in recipes. I very rarely use Swerve only in a recipe. For my frostings, I pretty much stick to using powdered cocoa or another strong extract flavor because it masks the cooling flavor and thirsty feeling Swerve can give. With a name like Xylitol, you wouldn’t expect it to be natural, but it really is. Xylitol is actually a sugar alcohol that is extracted from plants such as birch trees or corn. I use this sweetener on a pretty regular basis because it has no aftertaste and it closely mimics the molecular properties of table sugar. I’ve had great results in my low carb quick bread or muffin recipes, and most anything with a coarser texture because of this. 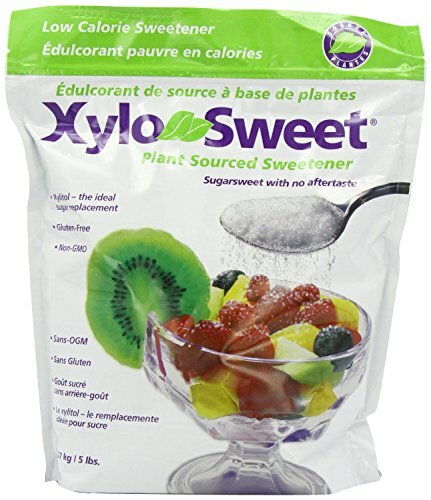 Because xylitol’s molecular properties so closely resemble that of table sugar, you can use xylitol to make candies. Yes, it can even go to the hard crack stage. 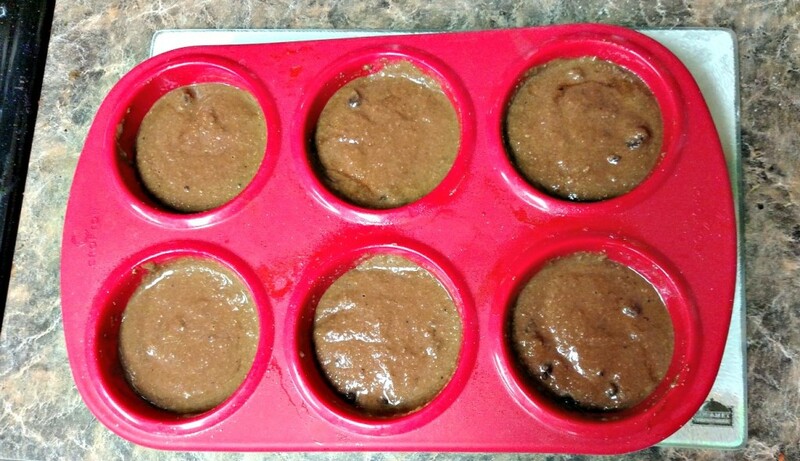 Mmmm….homemade low carb cinnamon disks or root beer barrels, anyone? Aside from being a great sweetener, xylitol has some amazing benefits, too. Did you know that xylitol actually prevents tooth decay? Brands like Orbit, Trident, and Icebreakers contain xylitol. Dentists actually recommend candy and gum made from xylitol because it’s so good for your teeth. CAUTION: Xylitol a natural substance, but it is poisonous to dogs. Use with care if you have dogs in your home. If you are concerned about your four-legged friend accidentally ingesting food made with xylitol, then I would recommend not using it. Is There a Natural Sweetener I wouldn’t Recommend? There is one natural sweetener on the market that I have tried that was horrible and a waste of my hard earned money. Just Like Sugar is pretty darn natural. It’s made from chicory root and has nearly 0 carbs per serving. Unfortunately, it has absolutely no sweetening power whatsoever. I’ve tried to give it a shot and use it in different recipes, but I always get the same result. No sweetening power. Nada. I used it an a muffin recipe I use often and have good results with. After adding the amount called for in my recipe, I tasted the batter. It tasted as if I hadn’t added anything. Now, I know when it comes to natural sweeteners, you may have to use an amount more or less than what’s called for. That’s just the way it is. So I added a little more. A little more. Still more. It still just tasted bland and horrible. So I decided to experiment. 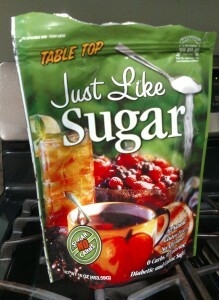 When I bought Just Like Sugar for baking, I also ordered some individual packets to try in my tea. I made a cup of hot tea and added one packet. I added seven more packets of Just Like Sugar and my tea still tasted the same. I know a lot of low carb cooks swear by this stuff, so maybe they know something I don’t know. But I’ve tried to like Just Like Sugar, I really have. We’re just not meant to be together. In my opinion, don’t waste your money on Just Like Sugar. This list of natural sugar substitutes are the ones I’ve had the most success with. These are the most popular, but just a fraction of the low carb natural sugar substitutes baking experts use. In the end, natural sweeteners are kind of a personal thing. Some may prefer the taste of one over another. They might work in one recipe, but not produce stellar results in another. Hopefully, this guide will help you decide which ones have the most success in the majority of recipes, and how to use them to their fullest potential.